Traci Burch holds appointments as Associate Professor in Political Science at Northwestern University and Research Professor at the American Bar Foundation. Dr. Burch’s areas of research focus include U.S. politics, political behavior and inequality, race and ethnic politics, social policy, and criminal justice. Her current research examines the effects of criminal convictions and incarceration on individual and neighborhood voter participation; changes in racial categorization as a result of intermarriage and immigration; and interest group participation in the Supreme Court. 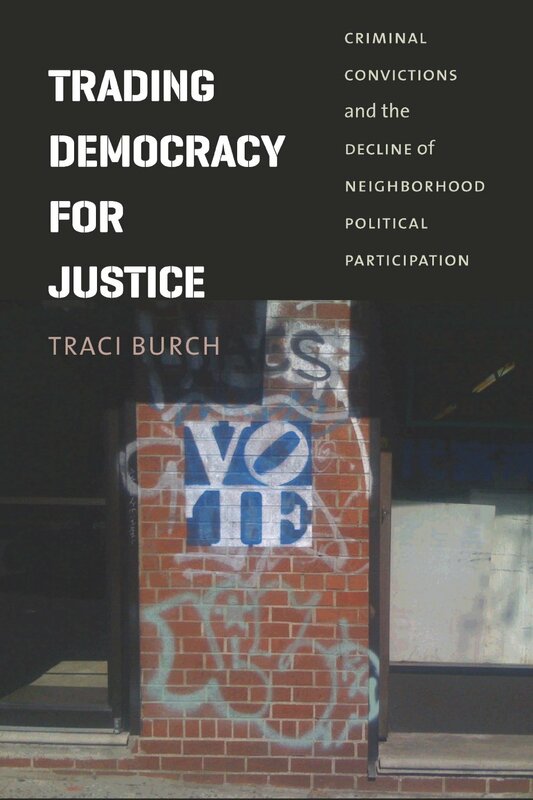 Her 2013 book, Trading Democracy for Justice: Criminal Convictions and the Decline of Neighborhood Political Participation, published by the University of Chicago Press, examines the effects of the criminal justice system on political behavior in low income communities. 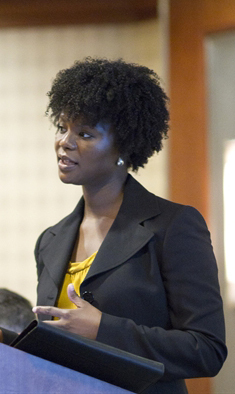 In addition to receiving a positive response within the field, the book received several book prizes in 2014, including the American Political Science Association Ralph Bunche award, which recognizes the best scholarly work in Political Science that explores the phenomenon of ethnic and cultural pluralism. Burch’s dissertation, Punishment and Participation: How Criminal Convictions Threaten American Democracy, won the American Political Science Association’s E.E. Schattschneider Award for the best dissertation in American Politics (2009), the William Anderson Award for the best dissertation in the field of state and local politics, federalism, or intergovernmental relations (2008), the American Political Science Association Urban Section Best Dissertation in Urban Politics Award (2008), and Harvard University’s Robert Noxon Toppan Prize for the best dissertation in political science (2007). In addition, her work has appeared in several peer reviewed journals, including Political Behavior, Law and Society Review, and Criminology and Public Policy. Recent publications appear in Political Behavior, Law and Society Review, and Criminology and Public Policy. Notable items include “Contingent Public Policies and the Stability of Racial Hierarchy: Lessons from Immigration and Census Policy,” (with Jennifer Hochschild, Harvard University) in Political Contingency: Studying the Unexpected, the Accidental, and the Unforseen, edited by Ian Shapiro and Sonu Bedi and “Political Voice in an Age of Inequality,” (with Kay Lehman Schlozman, Boston College) in America at Risk: Dangers on the Horizon, edited by Robert Faulkner and Susan Shell. Dr. Burch holds an A.B. in Politics from Princeton University and a Ph.D. in Government and Social Policy from Harvard University. Dr. Traci Burch © 2015-2018. All Rights Reserved.